Pokemon: Let's Go, Eevee is one of the two video games that have the distinct privilege of being the first ever Mainstream Pokemon Games not to be released on the latest, greatest Nintendo Handheld Console. 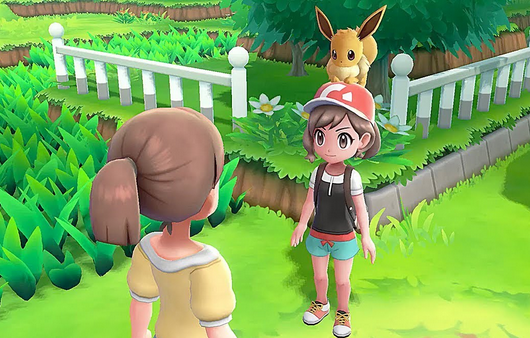 Instead, Pokemon: Let's Go, Eevee was released exclusively to the Nintendo Switch Console System on November 16th, 2018. The game was created by Game Freak, the developers of every single Mainstream Pokemon Games to date, and it serves as a precursor to the first 8th Generation Pokemon Games set to hit the market in Late 2019 (the same that will also be exclusively released on the Nintendo Switch). Pokemon: Let's Go, Eevee is, in fact, a remake of the famous Pokemon Yellow that was first seen and played by many all the way back in the First Generation of Pokemon (as well as later during the 7th Generation as a Nintendo 3DS Virtual Console). Because it is a remake, fans should expect much of the same gameplay that what was found in Pokemon Yellow. Players continue to journey through the Kanto Region within this game, once again having the chance to only capture the original one hundred and fifty or so Pokemon. A trainer's trusty Stater Pokemon (this time an Eevee instead of a Pikachu) also travels with them outside of their Poke Ball, being by their side whenever they shall go. In addition to this, a number of other characters originally seen back in Pokemon Yellow return once again in Pokemon: Let's Go, Eevee. 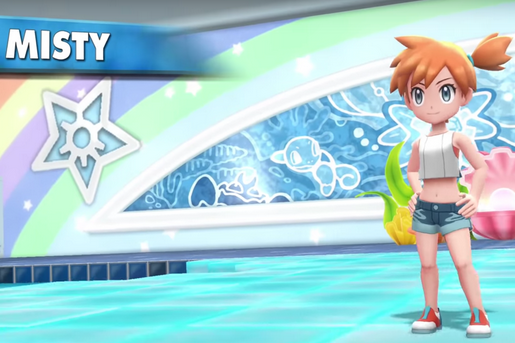 All of the original Kanto Gym Leaders, such as Brock and Misty, will be waiting at their appropriate Gyms for players, standing in their way of ultimately being granted access to battle the Elite Four. Professor Oak is also found in Pokemon: Let's Go, Eevee, giving your trainer their Starter Pokemon at the very beginning of the game. On top of this, players will once again have to defeat the evil Team Rocket during their adventure, including the most infamous tandem that has since ever come from the group, Jessie and James. However, even though a number of things remain the same in Pokemon: Let's Go, Eevee as in Pokemon Yellow, there are still a handful of New aspects included in the game that successfully bring it into the twenty-first century. From one, Pokemon: Let's Go, Eevee is actually compatible with Pokemon GO, the hit mobile game released a few years back. Players can finally put their Kanto Pokemon found in Pokemon GO to good use, being allowed to send them to Pokemon: Let's Go, Eevee so they can be captured and used during one's adventure. Additionally, many features found in Pokemon GO are also be used in Pokemon: Let's Go, Eevee. Wild Pokemon Encounters now happen by seeing said Pokemon in the overworld, just like in Pokemon GO, with players having to run into them in order to go into battle against said Wild Pokemon. Once in battle with a Wild Pokemon, players actually don't have to weaken said Pokemon like previous Mainstream Pokemon Games, but instead merely have to throw a Poke Ball at them in hopes of earning its capture (a mechanic first seen in Pokemon GO). Combat Levels, yet another feature first introduced in Pokemon GO, are also included in Pokemon: Let's Go, Eevee and show just how strong a Pokemon is. Furthermore, there are even a couple of aspects found in Pokemon: Let's Go, Eevee that have never been seen before in a Mainstream Pokemon Game. The most obvious of these things is the Brand New Co-Operative Play that only a console like the Nintendo Switch could allow. With Co-Operative Play, two players can actually journey through the Kanto Region together in Pokemon: Let's Go, Eevee by using both Nintendo Switch JoyCon Controllers. 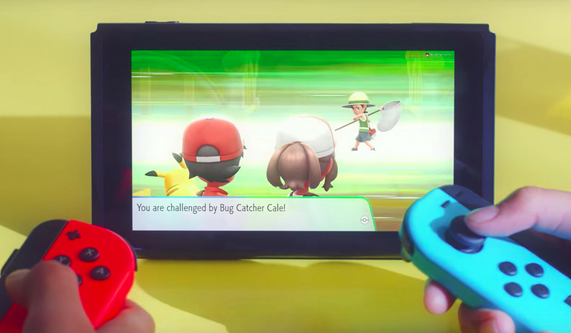 As a team, players can battle other trainers in a 2 VS 1 format, as well as capture the same Wild Pokemon with one another. We started this guide quite a long time ago, beginning by adding all of the Pre-Release Spoilers that flooded in until the release of the game. After Pokemon: Let's Go, Eevee hit the market, we have since continued the almost-impossible task of creating the most in-depth analysis of every single component of the game, hoping to create the most extensive Walkthrough found on the internet. 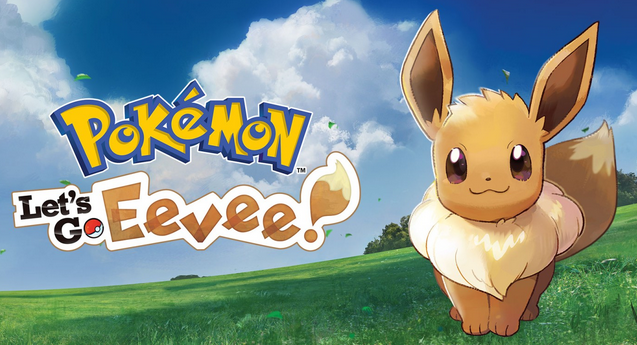 From even before the game was available to the end credits and even beyond, we will be covering all that constitutes Pokemon: Let's Go, Eevee in this very guide! New information will be continuously added to this guide along the way, so don't forget to subscribe to receive all of the updates as they come!